 Team USA and AusAmerica headed out on the longest stage of the event. Mongolia is a country of a people as much as it seems a country of horses and sheep and camels. And sand. Lots and lots of sand. 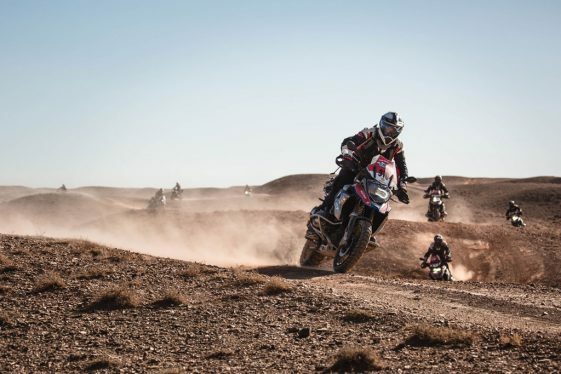 Team USA and Team AusAmerica set out ahead of the pack on the first day of GS Trophy, riding into what would become a 13-hour sand fest with two extremely challenging special tests along the way. After cranking through three hours of sandy desert the teams rolled up on the first test, a difficult trials-style ribbons course with elevation and lots of sand. The USA Men’s team cleaned this test, placing first overall, while the girls from AusAmerica weren’t as well-practiced. After many more hours of animal sightings and sand the participants ended their incredibly long day with a GPS challenge on foot, which might sound easy until you hear they had to wear their enduro boots and moto pants as they ran around the hot, hilly desertscape. The girls did very well at the competition, and our guys, not so much, but at the end of the day the USA men’s team had earned enough points to place very high in the overall standings. We are still awaiting final calculations at 11 p.m. here at the nights camp. Where is the camp? The journalists at my table just had a conversation about that subject and we decided we have no idea, only that we’re somewhere in Mongolia… and that’s just fine! Jamie has been a motorcycle journalist for more than 30 years, testing the entire range of bikes for the major print magazines and specializing in adventure-travel related stories. To date she’s written and supplied photography for articles describing what it’s like to ride in all 50 states and 43 foreign countries, receiving two Lowell Thomas Society of American Travel Writer’s Awards along the way. 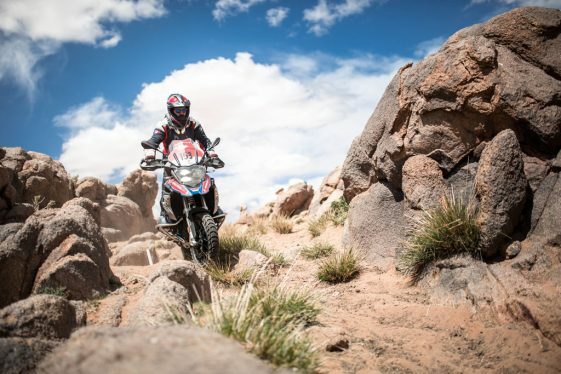 Her most-challenging adventure yet has been riding in the 2018 GS Trophy in Mongolia as Team AusAmerica’s embedded journalist. How can I take part in the GS Trophy? Where can I find the application forms, my dealer has none. Each country has at least one training facility (three in the case of the U.S.) that hosts the qualifiers. Ambitious riders register with the host facility as a competitor, compete in that qualifier, and then it’s the host facility that nominates the winner to represent the country (or region thereof). The next round of qualifiers will be in 2019. The next GS Trophy is in 2020. Good luck! At some point next year (2019), BMW will announce the details of the next trophy qualifier. When they do, each country eligible for the competition will have their own process of selecting people for the event. This will invariably entail some sort of qualifier(s), which will be detailed to interested parties sometime after the competition is announced. My suggestion is to get on to your regional BMW the mailing list (i.e. BMW Motorrad USA, https://www.bmwmotorcycles.com/en/info/newsletter.html) They will likely provide the most detailed and timely information about upcoming trophies.